I’ll be honest. When I saw her on the schedule I didn’t know what she might have to offer this crowd. I think she knew many had the same questions. I’ve heard speakers that give the same schpeal (sp?) no matter what the audience. I was pleasantly surprised that she shared particulars that resonated with a group of fundraisers. She shared about growing up in Newark, NJ with little money. Her mom did not have a degree and went back to school to get her college degree after her kids were born – so she and her brother hung out at the college with the janitor. Her dad was a cop in New York and her mom was an art teacher. Her mom made a purposeful effort to help her kids experience great things – almost all were free as a result of the efforts of people in the room. At 8 years old she started to understand philanthropy. Knowing that she could smile at someone, share her lunch, collect pennies and help people – it meant something and felt good. As a rapper she was able (still is) to participate in great events. She held an AIDS Dance-a-thon that raised money to fund research and feed people that couldn’t work or do anything for themselves because they were so sick. Her AIDS work really developed her ‘giving mindset’ knowing that “Sometimes you’ll have to stand alone for something you truly believe in”. 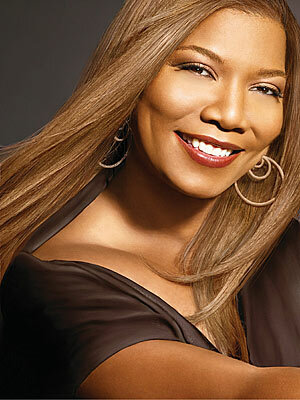 Latifah shared about a couple kids she met while shooting her sitcom Living Single – through the Make-a-Wish Foundation. “T” had cancer and passed away. A friend of hers lost a son to cancer as well. A few years ago a senior in high school had cancer and was able to meet Latifah and then graduated – later passing. She’s happy she can make a small impact in the lives of those kids and will continue doing so. She shared SO much more – to much to be captured here. More about her important work with AIDS in the US and South Africa. Loosing her brother and it’s impact on her – starting a foundation that’s sending kids to college in his name, and tons more. To be a part of the conversation, follow me on Twitter at @nathan_hand and the conference hashtag #afpmeet.